then click for more details. 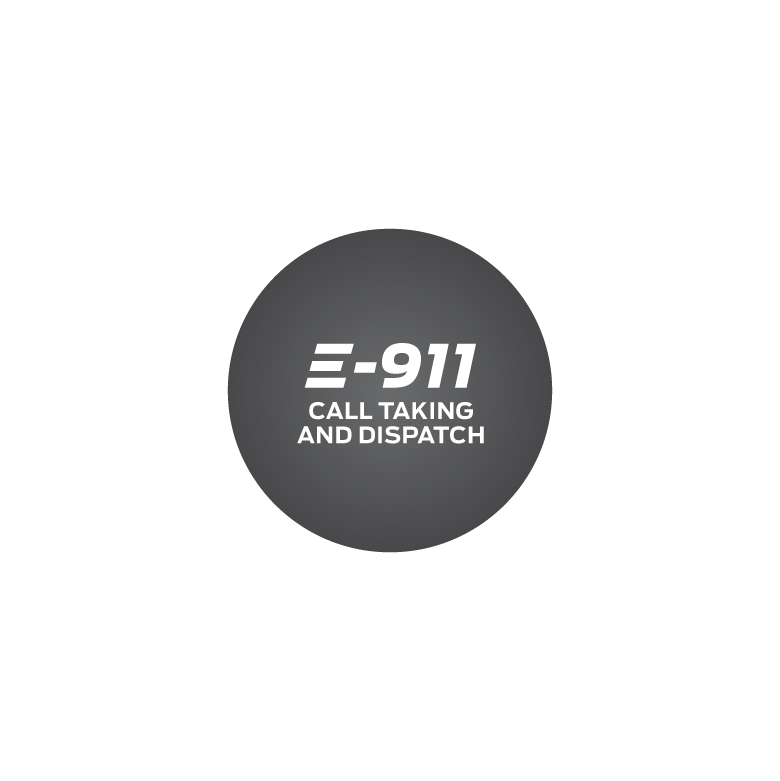 Take control of your emergency calls with E-911 call taking and dispatch. This software suite was designed to support call taking and dispatch operations for emergency call centers like 911 and 112. The telephone interface, call taking and dispatch module, and mapping application let you geolocalize, detail, and dispatch effectively. Target clientele: Call takers, dispatchers, managers of 911/112 emergency call centers, and managers of quasi-public safety management centers (airports, maritime ports, university campuses, urban transit agencies). Deploy your forces effectively and get a clear picture of the situation on the ground at all times. E-Police CAD keeps you well informed before, during, and after your operations. 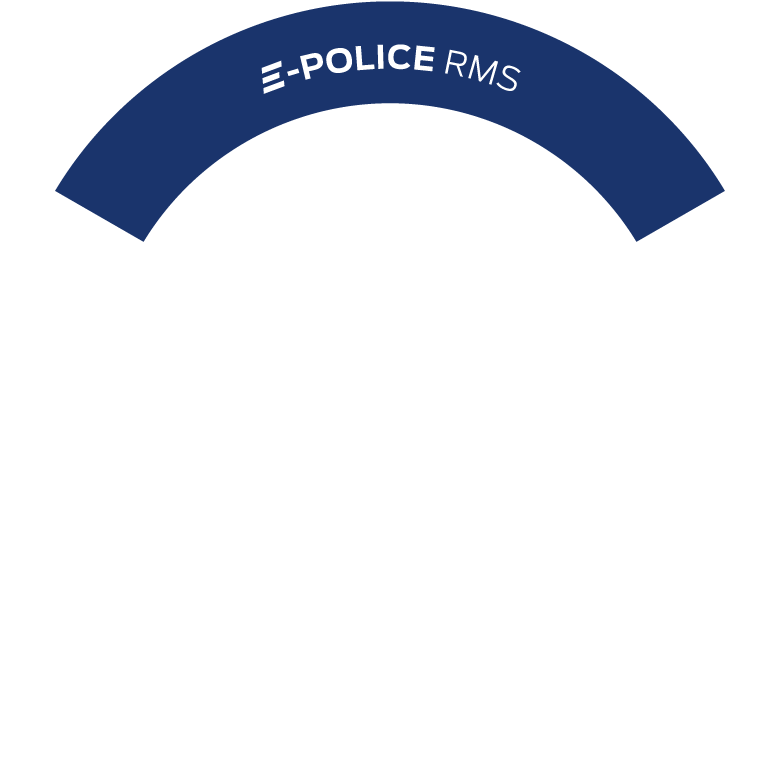 Respond quickly and clearly to all of your organization's operational management needs with E-Police RMS. From staff skills to operational statistics and local risk data, all the information related to your operations is right here. Ensure you always have the resources you need where you need them, and as fast as possible. Fire CAD integrates your operations and risk data to optimize resource deployment and save precious seconds. Know your territory and its dangers involved, and the resources you have to deal with them. 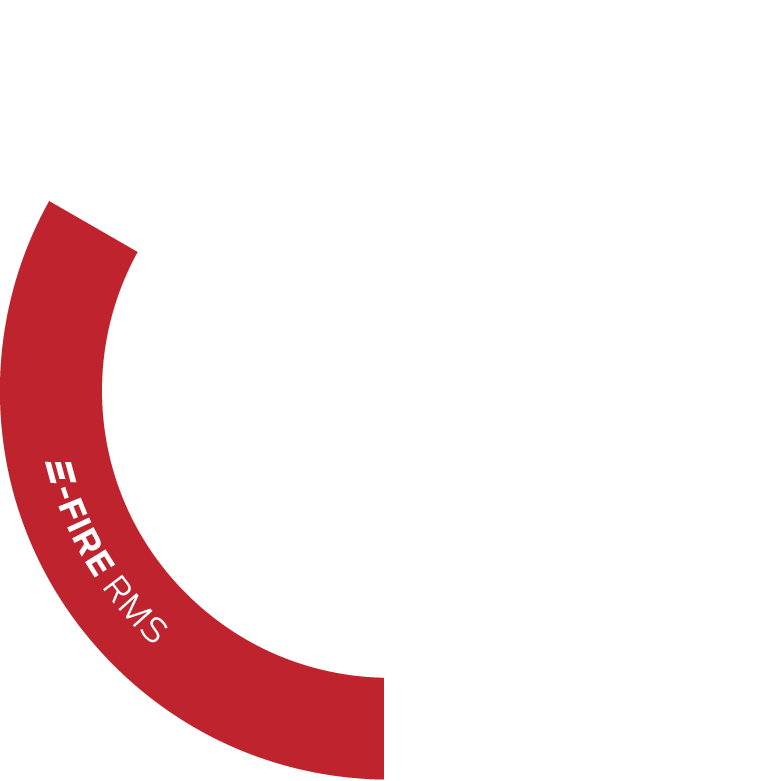 The E-Fire RMS generates incident statistics, records risk data, and stores important data regarding your staff. Be there for injured persons at the crucial moment. 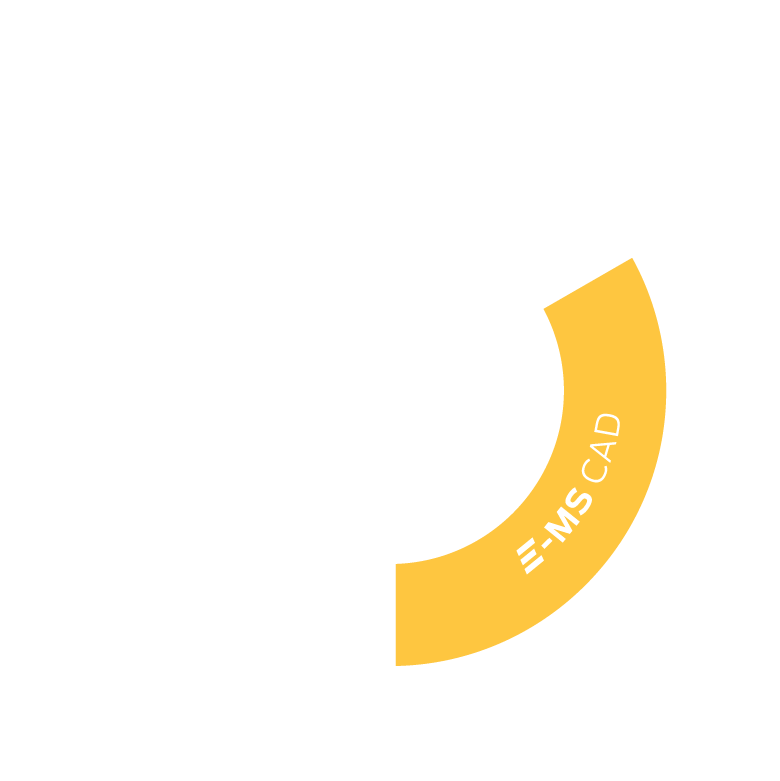 E-MS CAD manages your emergency priorities and resource availability to help you save precious seconds. Meet the demanding statistical requirements of authorities and your partners. E-MS RMS gives you access to the information you need to analyze and optimize your operations. Emergensys' Law Enforcement products have been operational at client sites since 1994. The total product repertoire of approximately forty (40) modules consists of nearly 4 million lines of code and is the result of twenty years of development with the close collaboration of public safety stakeholders. 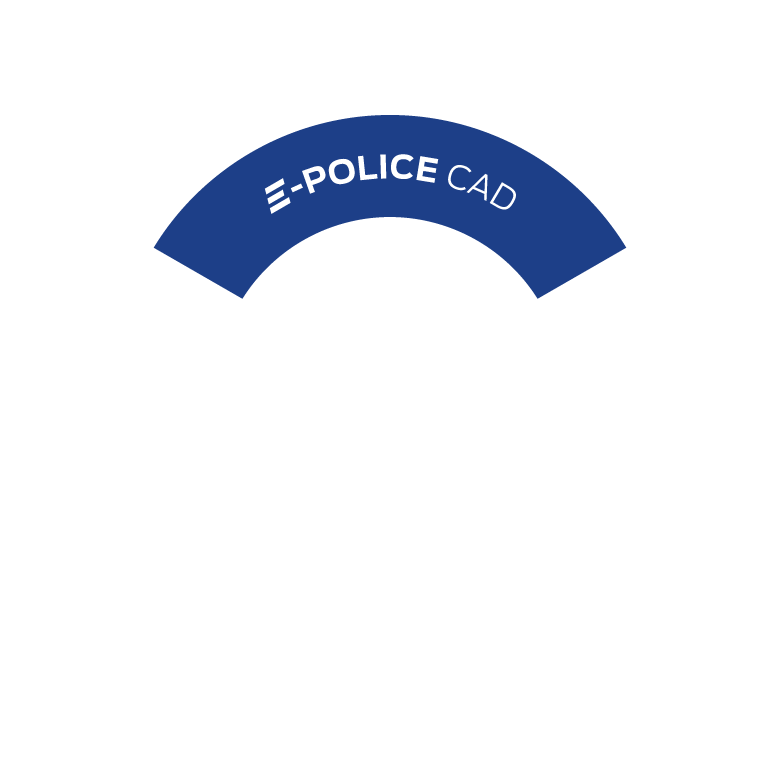 The Police portfolio consists of core CAD system modules including CAD, Mapping, Mobile CAD and RMS, along with Police service specific modules including Daily Activities, Ticketing, Event Reporting, Incident Management, Investigation Management, Evidence Management, Detention Management, and Firearms Training Management, among others. E-911. The Emergensys 911 Computer Telephony Interface (CTI) interface replaces standard telephones with a virtual computer-controlled telephone, adding speed and efficiency to call taking and providing call takers with valuable information to help them decide what action to take. A voice-activated recorder stores each conversation, allowing for immediate playback to confirm information. As soon as a call comes in, the interface software automatically searches a database for all information related to the phone number. Data such as time stamps can also be stored directly in the database for accurate statistics and reconstructions. The E-911 interface imports subscriber information (ANI and ALI) for each 911 caller, as provided by the telephone company, into the CAD call card. This automated entry process eliminates the need for redundant data entry, eliminates the possibility of data entry error, and speeds up the call creation process. As an option, the E-911 data can be simultaneously imported into the mapping system for immediate localization and display. Emergensys computer-aided dispatch (CAD) systems help agencies cope more effectively with emergencies. CAD systems are generally used to dispatch resources automatically or help call takers dispatch resources. An Emergensys automated CAD system will allow you to handle more incidents with fewer personnel, even during national disasters and civil disorders. Rapid access to real-time information saves lives—both on the ground and in the community. Our E-Police CAD system was designed to make operations more efficient and accurate—and keep officers safe. Three clicks of the mouse are all it takes to dispatch a vehicle. Dispatchers may choose an available resource or ask the system to recommend one, depending on a host of factors. Emergensys computer-aided dispatch (CAD) systems help agencies cope more effectively with emergencies. CAD systems are generally used to dispatch resources automatically or help call takers dispatch resources. An Emergensys automated CAD system will allow you to handle more incidents with fewer personnel, even during national disasters and civil disorders. Rapid access to real-time information saves lives-both on the ground and in the community. Our E-Police CAD system was designed to make operations more efficient and accurate-and keep officers safe. Three clicks of the mouse are all it takes to dispatch a vehicle. Dispatchers may choose an available resource or ask the system to recommend one, depending on a host of factors. Emergensys' Mapping application provides a visual representation of the dispatcher's area of responsibility, displaying critical information that allows them to respond efficiently to emergency situations.� The Mapping application is a helpful tool in visualizing the overall situation, and through the application of layers, the location of personnel, vehicles, events and other agency related information such as hospitals, stations, fire hydrants, etc are quickly observed via labeled icons on the map.� The mapping application also permits custom layers to be added to the map. The mapping application is fully integrated with the CAD system.� The incident location is automatically displayed on the map when the address is validated by the CAD system.� Call and resource filters set in CAD are also applied to the map.� The mapping application allows the user to view all locations in the area and to view, not only location calls, but also the call type according to different services. Resources with GPS are displayed in real-time.� The topography of the terrain, hospitals, buildings, lakes, and all other reference points are displayed as layers on the map. The Mapping is a versatile tool, supporting CAD operations, and can also be used as an investigative analysis tool.� This allows the relevant agencies to see patterns helpful in their future resources planning.� Call card history has the capability of displaying its queries on the map.� You can, for example, query the system for all burglaries within a given time period.� Then you may ask the system to display them on the map (PIN MAPPING).� This allows the investigator to see patterns helpful in finding the cause of a given incident. Mobile Computer-Aided Dispatch (MCAD) runs on mobile computers, allowing your dispatchers to do more and empowering your field units by providing them with a seamless data path, giving them all the up-to-the-minute information they need from their vehicles without having to request it from a dispatcher. Responders enjoy real-time access to the Computer-Aided Dispatch (CAD) system from patrol vehicles. Field units can send and receive call-specific information securely. A panic button function alerts all dispatchers if field units require backup. Mobile CHAT (MCHAT) allows communication between vehicles. MCAD not only saves time and reduces the potential for error, it cuts radio traffic and eliminates the transmission of sensitive information over the airwaves (the MCAD system sends encrypted data over a wireless network). Visual information and integrated mapping software also help units respond more quickly and locate addresses more reliably. Units can respond to calls using a touch screen. A detailed CAD screen shows the status of other units assigned to the same call. Messaging supports silent communication between units, dispatch, and station personnel. The interface features clear touch-screen buttons and hotkeys. Vehicle crews can update their status at the touch of a button. Every character of every message is automatically recorded. The Emergensys record management system (RMS) is an agency-wide system that considers the reasons, processes, and methodology required for data to exist and be used. Our system was designed as a fully integrated tool. There is no redundant data and no repetitive input. Data is used by the system to produce reports that help improve, alter, identify, and understand what is taking place within your organization. The Statistics Management Module lets you analyze all card cards and response times graphically. All personnel information is stored in the system to be used as needed in related modules. Officer activities can be traced and analyzed to optimize work flow, and the Call Card History with Pin Mapping function lets you view groups and incident types within set timeframes to find patterns. In all, we have a host of modules to make your station and your officers more efficient. International events increasingly highlight the importance of public safety agencies worldwide. Emergency services are coming under more and more pressure to support first responders more effectively and boost efficiencies by better tracking individuals and data. Emergensys has developed feature-rich products that meet your every need. Our complete range of tools combines dispatch and data management for police, fire, ambulance, and institutional services into one fully integrated, multi-agency, multi-city, multi-jurisdiction system with a single point of entry. Emergensys puts you in total control, while guaranteeing 100% data integrity. Emergensys puts you in control of call reception, computer-aided dispatch, mapping, and record management--all at the touch of a button! And that's not mention a host of mobile applications and over 40 modules, too! Ensure you always have the resources you need where you need them, and as fast as possible. 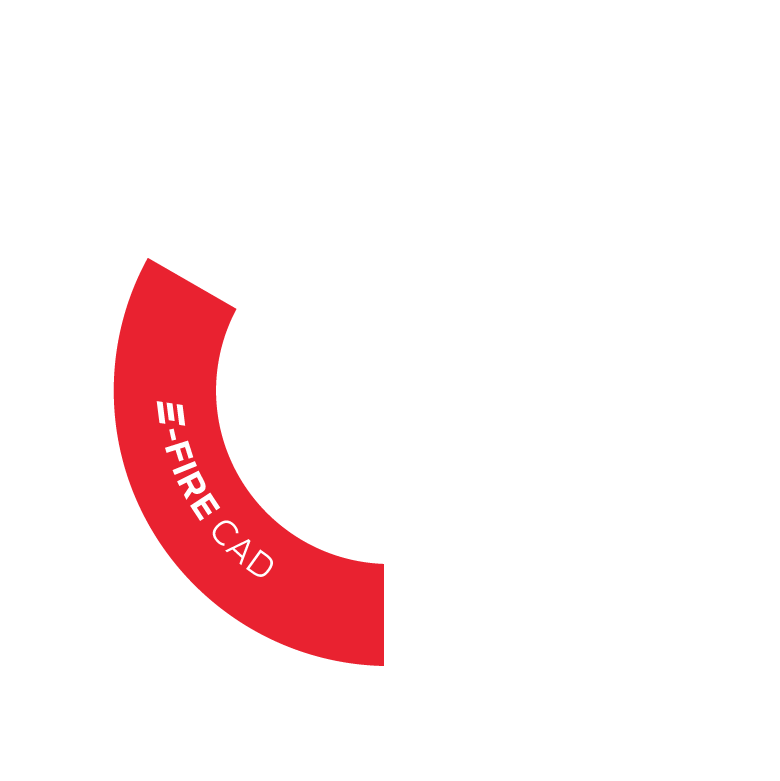 E-Fire CAD integrates your operations and risk data to optimize resource deployment and save precious seconds. A voice-activated recorder stores each conversation, allowing for immediate playback to confirm information.� As soon as a call comes in, the interface software automatically searches a database for all information related to the phone number.� Data such as time stamps can also be stored directly in the database for accurate statistics and reconstructions. The E-911 interface imports subscriber information (ANI and ALI) for each 911 caller, as provided by the telephone company, into the CAD call card.� This automated entry process eliminates the need for redundant data entry, eliminates the possibility of data entry error, and speeds up the call creation process.� As an option, the E-911 data can be simultaneously imported into the mapping system for immediate localization and display. 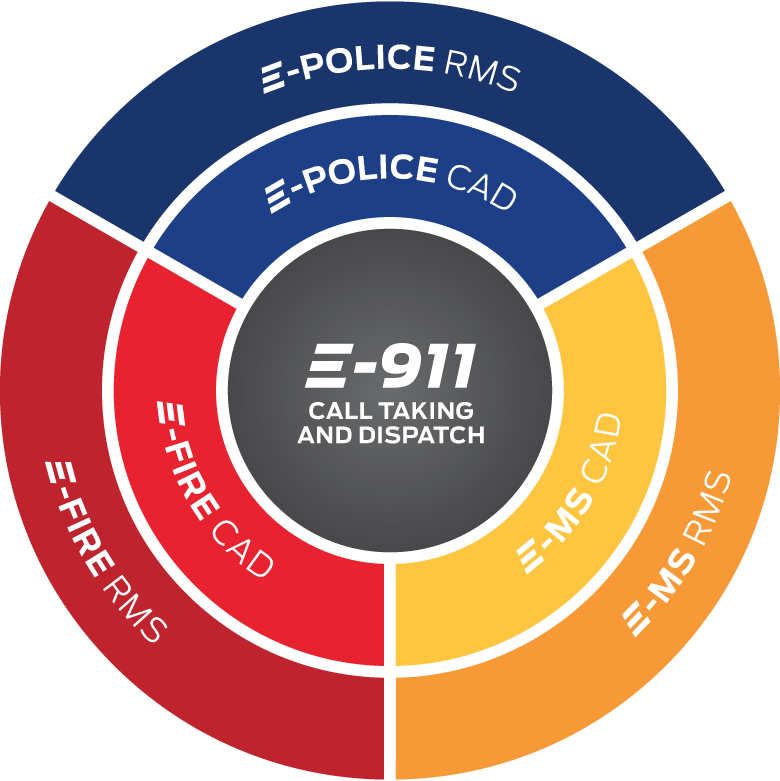 Our E-Fire CAD system was designed to help dispatchers deal with emergencies efficiently, accurately, and rapidly. Three clicks of the mouse are all it takes to dispatch a vehicle or one or more fire stations at once. Dispatchers may choose an available resource or ask the system to recommend one, depending on a host of factors. When disaster strikes, fire RMS data is available in CAD for ready access. Hazmat data and the option of linking to national hazmat guides help firefighters and dispatchers assess equipment needs and set up an evacuation perimeter. Building plans are made available for consultation and decision-making, and people with disabilities requiring evacuation, fire hydrants, are immediately located. Training and Activity modules keep the fire station and firefighters at peak efficiency, while Equipment Manager keeps track of all equipment. Full NFIRS 5.0 integration also makes for faster, more accurate reporting. Because time matters, we buy you time! Emergensys has developed feature-rich products that meet your every need. Our complete range of tools combines dispatch and data management for ambulance services into one fully integrated, multi-agency, multi-city, multi-jurisdiction system with a single point of entry. Emergensys puts you in total control, while guaranteeing 100% data integrity. Emergensys puts you in control of call reception, computer-aided dispatch, mapping, and records management—all at the touch of a button! And that's not to mention our mobile application and a host of over 40 supporting applications! E-MS RMS meets the demanding statistical requirements of authorities and your partners. E-MS RMS gives you access to the information you need to analyze and optimize your operations. E-MS RMS provides the foundation for a fully integrated system that allows access to master index information from any of the applications in the E-MS CAD software suite. The E-MS RMS system supports a multi-jurisdiction, multi-discipline enterprise software system and implements RBAC (Role Based Access Controls) to control system data access. Viewing of information, records, documents, or files that are related to a single subject. 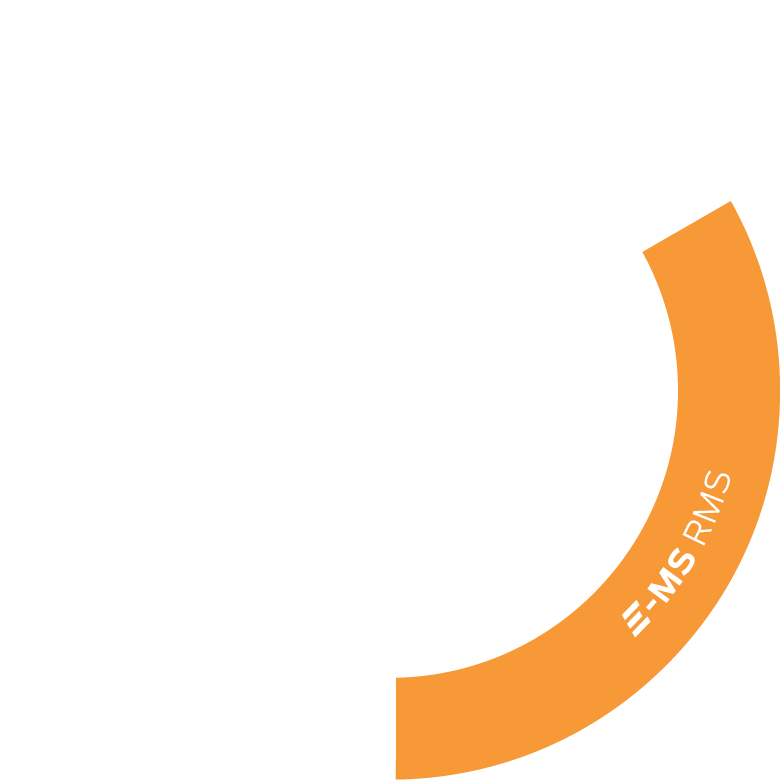 The E-MS RMS supports both Operational and Administrative requirements. The first priority is always the safety of our emergency responders. The more information about a call and the location of the call that is available to the Dispatcher the easier it is to protect the safety of the responders. 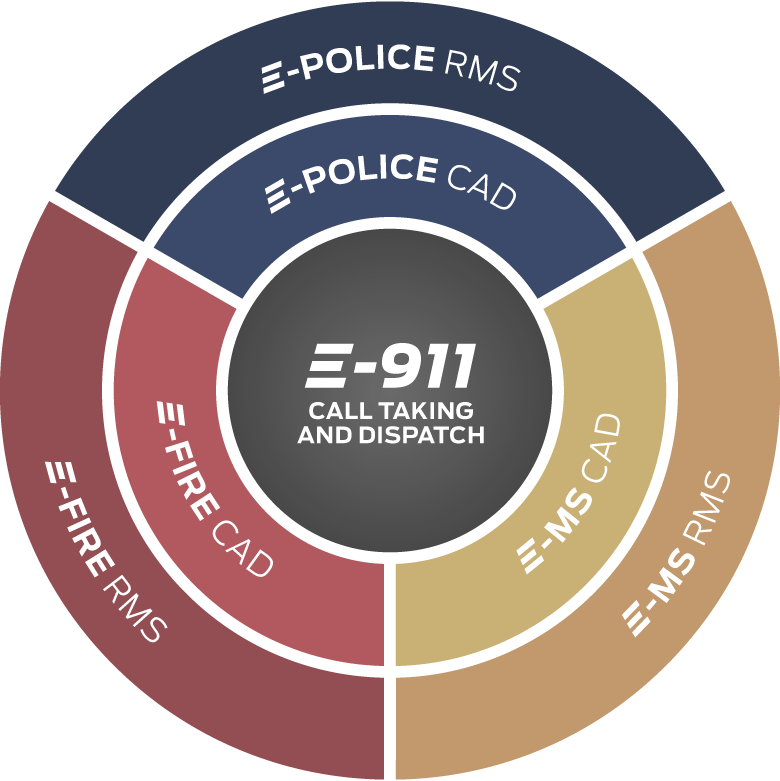 The E-MS CAD (Computer Aided Dispatch) is designed to assist dispatchers in handling EMS emergency situations efficiently, accurately and rapidly. Mission critical pre-programmed important information for a specific address (i.e., location of interest, previous calls history, handicapped persons, etc.) needs to be readily available to the call taker/dispatcher as the call comes in. In addition to the benefits afforded to the E-MS CAD users, E-MS RMS also provides the capability to retrieve, analyze and report operational statistics vital to make timelier and accurate emergency services management decisions. The E-MS RMS provides emergency response centre managers and system administrators with vital, timely information on the performance of call, incident, and dispatch handling activities. All information pertaining to each call or incident, from when a call or incident was handled by the E-MS CAD application until assistance was rendered and completed, is kept in the E-MS RMS database. From these data a wide range of detailed reports of current and past calls, incidents, and dispatch handling activities can be generated. These reports can be used for resource, performance, and trend analyses of one or more emergency response centers. With the dispatch data, the E-MS RMS can provide statistics on call and incident dispatching times and agency response. The E-MS RMS can also generate statistics to evaluate a dispatch center's overall actions, or an individual dispatcher's performance. Manage Personnel and E-MS CAD system users. Manage the system's Role Based Access Controls. Manage the EMS shifts and shift group assignments. Manage the data that is used within the E-MS CAD application such as call number formats, the call natures and their priorities, types of calls, the options in drop down menus etc. Manage the agencies resources including their definition and the creation of Deployment Plans. Manage the activities that are available to resources. Manage the agencies Instructions & Recommendations Protocols. Manage address related data including Business Places, Hospital and Clinic locations, Contact Persons, and Places of Interest. Manage the interface between the E-MS CAD and private alarm companies. Access closed call cards for recovery, investigations and statistical reports. Manage the multi-card function to define which external agencies will automatically be copied with which ambulance events. Manage the timers that are used by the E-MS CAD system. Manage the territories hospitals and hospital related information. Manage the Waiting (Service) Points that will be used by the E-MS CAD's Dynamic Fleet Distribution System. We notice these ambulances, stationed at strategic places and ready to respond to any distress call, reassuring us by their presence. The DFDS (Dynamic Fleet Deployment System) function provides the capability to dispatch resources to points on the territory for the purpose of providing optimum territorial coverage. In emergency response operations, good vehicle dispatching strategies can result in more efficient service by reducing vehicles' travel times. The DFDS is an emergency response fleet deployment system which integrates an optimization approach to assist the dispatch center operators in assigning emergency vehicles to waiting points based on the total number of vehicles available. The primary objective of the DFDS is to reduce response times for emergency calls. Red – no resources present at waiting point. Yellow – a resource is on route to waiting point, no other resource is at this waiting point. Green - waiting point is covered; one or more resources are present at the waiting point. Grey – temporary waiting point created by the user. A resource that has been dispatched to a service point will display on the map with a customizable colored directional leader (arrow) between their location and the waiting point location. This also helps the dispatcher to quickly visualize activity status on the map. As a result of road conditions or special events, a temporary waiting point can be created by the user by moving an existing uncovered point to a new “temporary” location. The service point can be moved to a temporary address, intersection, or Lat/Long position where it can remain active for up to 24 hours. A "multi-level" approach is utilized in the model to reduce the redeployment sites in order to save computation time. This multi-level approach establishes plateaus based on the number of appropriate vehicles available at any one time. The lowest number of resources available results in seven (7) waiting points being displayed to provide maximum territorial coverage. The model will monitor for an appropriate increase in the number of resources, and then will automatically bump up the number of service points to the next plateau: twelve (12), and when the 12 are covered, then fifteen (15). The DFDS Status pane shows the name of the currently active deployment plan, the active plateau (7, 12, or 15) that is calculated based on the number of waiting points covered and the available resources, and the Level which displays the number of available resources. Used in combination with E-MS CAD system, the DFDS allows the dispatcher assigned to a territorial division to manage only the calls, the vehicles, and the wait points in their division since the DFDS works with the same divisions as the CAD. Each division is associated a radio communication channel for the dispatcher and the paramedic for the vocal mode. Vehicles can change division as a result of a dispatch to a waiting point that is outside of their current division. When the vehicle is redeployed to a waiting point that is outside of their current division, the system will indicate the new channel to be selected to the vehicle personnel on the computer monitor. The “Redeployment” function assists the dispatcher with ensuring that sufficient resources are positioned at the designated waiting points thus providing the optimum coverage over the territory. With 2 mouse clicks, the dispatcher can quickly and efficiently dispatch a resource to a waiting point by selecting the “Redeployment” button and then selecting the desired Service Point from the list. En route 10-12 (en route to waiting point). Arrived 10-12 (arrived at assigned waiting point). Not that for the vehicles, redeployment is considered to be an activity which can be interrupted at any time allowing the vehicle to be dispatched to an emergency call. E-MS Equipment Management module supports the complete equipment lifecycle from acquisition, to allocation, to disposition. The Equipment Management application provides the applicable agency with accountability for inventory as it flows in to supply rooms and out to personnel, locations, and vehicles. This module was specifically designed to allow for the allocation and maintenance of equipment inventory. Equipment can be assigned to personnel and/or vehicles. The Equipment Management module also allows for the management of the fleet of vehicles. All equipments and vehicles are presented in a tree-view structure for easy access and selection. as well as a points allocation system for such things as uniform allotments. The creation of requisitions and the follow-up of all types of equipment and vehicle maintenance are performed in a concise and precise way. The Inventory Management window displays available or transferred equipment inventory (i.e. at the main supply depot), determines the unit price as well as the quantity of points allocated to the item. Selecting an item displays information on this item on the right hand side information record area. The Vehicle Management window allows the user to select a vehicle so as to manage its equipment inventory. a summary of the employee's points. Inventory is easily populated within the Make Inventory tab using a bar code scanner. Vehicle Inventory - Displays the list of items in inventory for the selected vehicle. This section also consists of two tables. The first one contains the name and the number of the selected vehicle location; the second one is called: Complete list of Vehicle parts. Serial number - Accesses a window displaying the serial numbers, internal number, and the expiration date of the item. In addition, the history of the item can also be viewed. Complete list of Vehicle items - Displays the complete list of items stored in the vehicle. Information and modification - Accesses a window called Item Information/Modification displaying the location of the item and information such as the total quantity, the date the item was issued and the item return or replacement date. Comments and serial numbers can be entered as well as viewed. E-MS Schedules Management application is a group of modules that are used to create and manage personnel shifts for different agencies or departments. This includes creating shift rotations for groups or individuals; managing employee time banks, creating and associating department policies, entering national holidays and associating them to shifts or individuals, creating and managing short and long term absences, and creating daily, monthly or annual reports for absences, replacements, time banks and vacation. The Schedule Management application can be used "stand-alone" or fully integrated with the Control Data and Personnel Management modules in the E-MS RMS application. The two applications are fully integrated allowing the use of personnel data to be used. The E-MS RMS application manages personnel, users and shifts. The Schedules Management application uses the information from the personnel data to build and manage work schedules. The Shift module is used to manage shifts for different service. It can be used to manage multiple rotations for several periods (such as 8, 10 or 12 hour shifts) for each department in the organization. The module allows the creation of perpetual shift schedules and management of labor policies (collective agreement), such as minimum number of workers allowed per shift. The Absence, Substitutions and Work Plans Management module is probably the most important module in the scheduling application. It is used to create absences, substitutions and work plans. The screen can be interpreted quite easily: the left side contains information about the absentee; while the right side contains information on the replacement. Create short and long term absences and replacements, such as sick leave, vacations and maternity leave. The Time Banks Management module is used to manage employee time banks, such as vacation, sick days, overtime and accumulated hours. With this screen you can view and modify an employee's time banks, establish paid time calculations and set maximum and minimum values for individual time banks. The Time Banks Management module is also associated with the Absence, Substitutions and Work Plans Management module. This association ensures that the values entered in Absence management window such as days off, sick days, vacation and overtime will be automatically entered and tracked in the Time Banks Management module. The Schedule Reports module offers a multitude of report options, such as List of Shifts, Overtime, Vacation Schedules and daily, weekly, monthly or annual reports. The print criteria can be further defined to display individual employee, shift or department information. Shift Management used to create and manage shifts, multiple rotations and periods of time for each service. Generation Matrix Management is to create unique work cycles for shifts or individuals. Schedules Management used to print schedules and overtime availability schedules by seniority, date or badge number. Absence, Substitutions and Work Plans Management used to enter absences, replacements, work plans and shift exchanges. Time Banks Management used to calculate employee hours such as sick days, vacation, overtime and public holidays. Can be done automatically or manually. Create work policies as defined by the agency depending on the associated collective agreements. Create and manage National Holidays for the year, such as Christmas, New Years and Easter. Print a variety of reports for the department, shift or employee, such as daily logs, vacation schedules and overtime reports. Contact us immediately to see how we can make you benefit from Emergensys' expertise. Emergensys computer-aided dispatch (CAD) systems help agencies cope more effectively with emergencies. CAD systems are generally used to dispatch resources automatically or help call takers dispatch resources. An Emergensys automated CAD system will allow you to handle more incidents with fewer personnel, even during national disasters and civil disorders. Rapid access to real-time information saves lives, both on the ground and in the community. Our ambulance CAD system was designed for emergency medical service (EMS) centers of all sizes. Three clicks of a mouse are all it takes to dispatch an EMS vehicle. Dispatchers may choose an available resource or ask the system to recommend one, depending on a host of factors. Special dispatch statuses allow for easier tracking, and transport information. Hospital transfers can be scheduled as different call cards so that dispatchers can be sent alerts for prescheduled dispatches to come. In the event of a hazmat spill or a large fire that requires evacuation, perimeters may be created from a fixed point or street segment.� If data is available the system can generate the list of houses to be evacuated.� This reverse 911 feature can be linked to the Computer Telephony Interface (CTI) calling system to contact the targeted population. ESRI and MapInfo compliant for standard GIS formats. Zooms location on map as an ALI is transferred to CAD, without having to create a call card. Uses icons to illustrate the location of calls and vehicles and their statuses. Display all active calls and their statuses in tabular format. Display all vehicles and their statuses in tabular format. Customize your mapping configuration using drag & drop and save it to your profile. Perform individual vehicle tracking (GPS Playback). Make a delimitation of an action range, i.e. a perimeter around an event or a perimeter for street segments. Perform searches for addresses, streets, and Places of interest. Perform Optimum Routing requests between any two points on the map. Identify rivers, lakes, streams or any other permanent geographical landmark in the area. Add CCTV web cameras for viewing. Display user selectable street layers, territory division layers, and building layers. Select between various coordinate systems. Implements Dynamic Fleet Distribution System (DFDS) as an additional map. Emergensys EMS RMS provides the foundation for a fully integrated system that allows access to master index information from any of the applications in the CAD software suite. The Emergensys RMS system supports a multi-jurisdiction, multi-discipline enterprise software system and implements RBAC (Role Based Access Controls) to control system data access. The EMS RMS supports both Operational and Administrative requirements. The first priority is always the safety of our emergency responders. The more information about a call and the location of the call that is available to the Dispatcher the easier it is to protect the safety of the responders. The Ambulance CAD (Computer Aided Dispatch) is designed to assist dispatchers in handling EMS emergency situations efficiently, accurately and rapidly. Mission critical pre-programmed important information for a specific address (i.e., location of interest, previous calls history, handicapped persons, etc.) needs to be readily available to the call taker/dispatcher as the call comes in. In addition to the benefits afforded to the CAD users, Emergensys EMS RMS also provides the capability to retrieve, analyze and report operational statistics vital to make timelier and accurate emergency services management decisions. The EMS RMS provides emergency response centre managers and system administrators with vital, timely information on the performance of call, incident, and dispatch handling activities. All information pertaining to each call or incident, from when a call or incident was handled by the CAD application until assistance was rendered and completed, is kept in the RMS database. From these data a wide range of detailed reports of current and past calls, incidents, and dispatch handling activities can be generated. These reports can be used for resource, performance, and trend analyses of one or more emergency response centers. With the dispatch data, the RMS can provide statistics on call and incident dispatching times and agency response. The RMS can also generate statistics to evaluate a dispatch center's overall actions, or an individual dispatcher's performance. The EMS Management application, comprised of a customizable suite of modules, provides the primary user interface to the centralized RMS database. The CAD Management employs mechanisms to prevent duplicate entry and to provide efficient access to accurately maintained information. Using the EMS Management application, the user can access, input, modify, and delete CAD system data and can generate reports on both CAD system and operations data. Manage Personnel and CAD system users. Manage the data that is used within the CAD application such as call number formats, the call natures and their priorities, types of calls, the options in drop down menus etc. Manage the interface between the CAD and private alarm companies. Manage the timers that are used by the CAD system. Manage the Waiting (Service) Points that will be used by the CAD's Dynamic Fleet Distribution System. AMB_ServicePoint.jpgWe notice these ambulances, stationed at strategic places and ready to respond to any distress call, reassuring us by their presence. In emergency response operations, good vehicle dispatching strategies can result in more efficient service by reducing vehicles’ travel times. The DFDS is an emergency response fleet deployment system which integrates an optimization approach to assist the dispatch center operators in assigning emergency vehicles to waiting points based on the total number of vehicles available. Used in combination with Emergensys’ CAD system, the DFDS allows the dispatcher assigned to a territorial division to manage only the calls, the vehicles, and the wait points in their division since the DFDS works with the same divisions as the CAD. Each division is associated a radio communication channel for the dispatcher and the paramedic for the vocal mode. Vehicles can change division as a result of a dispatch to a waiting point that is outside of their current division. Emergensys Equipment Management module supports the complete equipment lifecycle from acquisition, to allocation, to disposition. The Equipment Management application optimizes eight types of management: (1) inventory, (2) equipment, (3) vehicles, (4) requisitions, (5) suppliers, (6) maintenance & repairs, (7) inspections, as well as (8) a points allocation system for such things as uniform allotments. The creation of requisitions and the follow-up of all types of equipment and vehicle maintenance are performed in a concise and precise way. Emergensys Schedules Management application is a group of modules that are used to create and manage personnel shifts for different agencies or departments. The Schedule Management application can be used "stand-alone" or fully integrated with the Control Data and Personnel Management modules in the Records Management System (RMS) CAD Management application. The two applications are fully integrated allowing the use of personnel data to be used. The CADADM Administrative application manages personnel, users and shifts. Contact us immediately to see how we can make you benefit from Emergensys’ expertise.